Firenze, what a place to be for your studies and your visit. You can’t think about Italy without Florence popping into your mind, and here at StudentsVille, we have all the information on Florence Italy you’ll ever need. You might be so in love with the city that when you’re at home you go on your computer and type in “what time is it in Florence Italy?” we understand it’s so lovely that you something to make you think you’re there. Here you can find out what to do in Florence Italy, but more importantly, you can find all the best apartments for rent in Florence Italy that’s what we do best, we make sure you have a roof over your head during your studies or your visits. At StudentsVille we want to make sure you have a great time in the country, and we want you to find a home away from home, where you can relax after a long day of studying for those crazy exams you’ll have to go through. 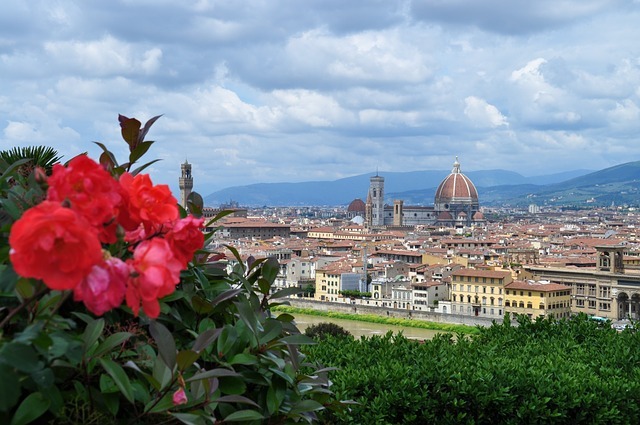 On our focus page regarding Firenze, you’ll find all the info a tourist, or student needs to go around and enjoy their visit. I mean why stress when you have such beautiful places to see like the Duomo, Santo Spirito, Santa Croce, and all the countryside that surrounds the city. We have lists that guide you to the best restaurants in Florence Italy to eat at, the best hotels in Florence Italy for your short term stays, a selection of hostels in Florence Italy to meet people at, grocery stores in Florence Italy so you don’t go broke in your first week as a student, and a in-depth list of places to go shopping in Florence Italy. We also cover other topics on our page that can help you with the legal side of things when living in Italy, like where you could find embassies and consulates, how the Codice Fiscale works, and also matters that could be more personal but that you need to know about, like where you can hospitals and what are the emergency numbers you need to know while in Florence. Remember that when you’re planning all the things to do in Florence you might want to know the weather in Florence and for that we have you covered on our Blog, where we talk of all other topics regarding your stay. You’ll find articles that help you find a car rental Florence Italy, list of things to see in Florence Italy, an in-depth description of museums in Florence Italy and where you can go from Santa Maria Novella (the Florence Italy train station), and at the end of most of our articles you can find a Florence Italy map that you’ll be able to download to know where the POIs you care the most for are. So, if you’re there looking for your flights to Florence Italy, keep in mind that the guide you need is here on StudentsVille, the portal for students and tourists alike. So fly into Peretola — the Florence Italy airport — have a plan ready and visit all of the Florence Italy attractions that you’ve been dreaming of, visit the Duomo Florence Italy, eat at the best restaurants in Florence Italy, and enjoy your time in Florence Italy every moment of your stay, that’s all we wish for you.